Editor’s Note: I became engaged in e-mail dialogues with BenJoe after he ordered copies of our books from his San Salvador address. From the tidbits of information he was sharing, we thought we’d like to meet and interview him on our next trip. 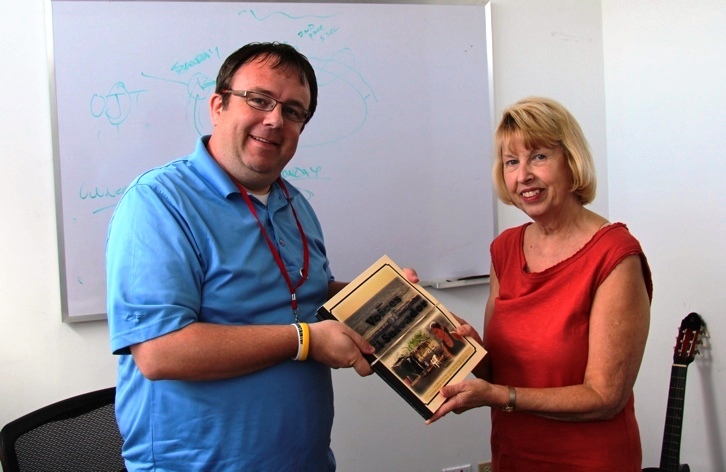 What a treat it turned out to be in meeting this upbeat American expat living in El Salvador. The first time he lived here it was not by his choice; the second time definitely was his choice to come and bring his young family along with him. 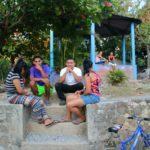 How did you end up living in El Salvador for two years beginning in 1999? I was sent to serve a mission for my church. I had no say in the assignment. I was simply told this is where I was needed. 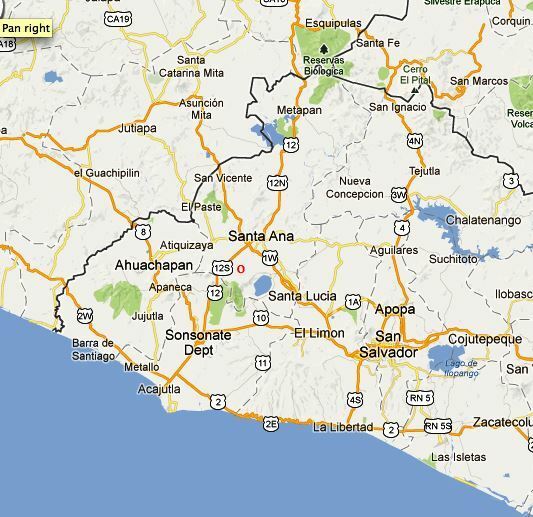 Share with our readers a bit about your experiences living here in El Salvador during that time. Now at age 33 I can honestly say everything I do in my life goes back to that experience I had as a missionary. It was two amazing years of historic proportions. I watched the currency change from the colon to the dollar. I lived near the epicenter during the big earthquake of 2001. For about five months I lived the life of a typical Salvadoran in a small village called El Congo near el Lago de Coatepeque. During that time I hiked the jungles, ate Sopa de Pata, sat on a dirt floor, and picked coffee. While the people were extremely poor, they were very open to talking about God. For the next year I had a tremendous experience living in Santa Ana. This area is steeped in rich history. I lived next door to an amazing woman who had lived the classic lifestyle and survived the wars. She and her husband lived next door to the Santa Lucia Catholic Church and often had the parish priests over for coffee. She was SO Catholic that she even had a sign on her house that it had been blessed by the Pope! I used to spend much time playing my guitar with her and her husband. About 10 PM one night their young daughter came over to get me announcing something was terribly wrong. The man was suffering from a stroke. I did mouth-to-mouth resuscitation until the ambulance arrived. A few days later in the hospital he had a second stroke which he did not survive. The woman asked if I would play my guitar at his funeral. I didn’t realize the size funeral it would be. Her husband had been a former football coach throughout Latin America. The church was packed with international mourners. Even years afterwards people approached me in recognition calling me “Chale,” which is the local term used for “white” because of the origin of the Europeans settling the Chalatenango department in the country. I also lived in for about two months and then moved to one of my favorite places, San Julian, located between Sonsonate and Armenia in 2000-2001. This was an amazing jewel of a peaceful town with a beautiful park in the center, a classic old Catholic church, and bustling evangelical movements at night. Then the earthquake hit, destroying the city along with the hope of many of its residents. It was slow to rebuild, and the people were never the same. Sadly crime and two auto hotels have replaced the charm. The last four months of my mission I spent in Auchapan, which was a nice place but not the same experience of San Julian or Santa Ana. What was it that endeared you to the Salvadoran people? I saw miracles in the people here and fell in love with them. El Salvador doesn’t have the touristy things like Guatemala. It doesn’t have the same beaches and islands like Honduras. We are on the other side of the arm of Latin America. And there is this dark cloud of a civil war hanging over it. I don’t know what it is, but I love the people. For example, there was a man who was a three-pack-a-day smoker, an abusive man from Santa Ana. In the course of two months’ time in teaching him the gospel of Jesus Christ, he quit smoking, quit drinking, stopped abusing his family, and joined the church. He began to love his family and became a patriarch of his community due to his faith because he allowed Christ into his life. I had never seen people so open to Christ and saw so much hope. I saw people change because they had hope that things would get better. Were you born and raised in the Mormon faith? My dad was raised Mormon and believed the beliefs but didn’t practice them. He did, however, practice Christian values and was tolerant of others’ beliefs. When I was growing up in Utah attending college, even though I had been raised in a home with Christian values, I realized something was missing in my life. The internet was something new at that point in time. I discovered chat rooms; and some were pleasant and interesting while others were just people attacking one another’s beliefs. But they piqued my interest as I investigated. Some good friends suggested that I talk with Mormon missionaries. I decided they would be last on my list. I spoke with Methodists and Catholics. I knew there was a divine being, God. Finally one day I saw two Mormon missionaries on the street and invited them to come in and talk. They were pleasant and answered my very basic questions about God. They encouraged me to pray. They would not tell me what to do or what to believe; rather they said it was my decision what to believe. We met for over two or three months and read from the Bible. James 1:5, “But if any of you lacks wisdom, he should pray to God who will give it to him,” helped answer it for me because God ALWAYS listens to his children. So I got down on the floor and prayed, and I got this warm feeling, which I believe was the Holy Spirit, touch me. My mind cleared up. I felt that if I continued the way I was going, I could end up with my life being destroyed. I was a charismatic speaker, but I felt Satan would have brought me down and used me for evil. I had lots of energy, and I didn’t want to be that person. The Spirit was telling me I had to be a different person. I felt my talents could be used for evil or good. I was reading more of the Bible at that point and a quarter of the book of Mormon. The missionaries encouraged me to continue reading from where I’d left off in the Old Testament of the Bible, to read the gospels in the New Testament, and then compare it to the book of Mormon. At that point I began reading the two books together. This was in 1978. I prayed about a decision and then took the challenge. I joined the Mormon Church in February of 1979. Are you raising your own two boys to be tolerant of other faiths? In our faith we don’t baptize until the age of eight. Neither of our boys is that old yet, and certainly I think my wife, who was raised as a Mormon and whose family has roots going back to England in the faith, and I as a Mormon convert would be disappointed if our children did not choose the same faith, but it is their choice. What else can you share about your background in Utah? I grew up in a great home where we were challenged to think outside the box and discussed all philosophies. My dad was pretty influential. He was honest and hard-working. He was a physician’s assistant who worked 9AM-5PM in a hospital and was on call weekends. Two or three times a month he worked at clinics in small towns. My mom was a laboratory scientist who later started her own business. You could say I was raised with a hard-work ethic model. There were four of us boys who have all turned out pretty well; I attribute this fact to great parents who lived their beliefs. You had a successful career in Utah. How long have you been living here as an expat, and what brought you here with your family? I was offered an opportunity to open a call center outside the U.S. I was already working a job 90 hours a week and was ready for a new opportunity. I chose El Salvador because of my positive feelings and experiences as a missionary here, as well as being familiar with its history, culture, and language. There was another reason that factored heavily into the decision also. That dealt with wanting our family, particularly our boys, to have a study-abroad experience. For some reason there is this stigma that as an American you don’t need to really learn a language unless you are going to study abroad or unless you are very bright, that you don’t need to be fluent in a foreign language when you live in the U.S. I thought, no, there is more to it than that. When our one son was three, his response to seeing a black person was, “I don’t like that kid.” When I asked him “Why?” all he could say was, “I don’t know; I just don’t like him.” Although we realized it may have been his way of questioning something new to him, my wife and I immediately went to the library and checked out every book on race that was age appropriate for him. We made a commitment that we wanted our kids to experience many cultures and many kinds of people. That is another reason El Salvador became an inviting adventure to us. When this opportunity came up, my wife and I decided that this was not going to be about the money but about the cultural experience it offered our family. We recognized that it would be hard on the children, on our family, and on our relationship; so we asked ourselves, “Are we SURE we want to do this? Is our communication strong enough? Is our love strong enough to put ourselves through this because I’m starting a business that requires a great deal of me.” We have been here a year and a half. Did your family in Utah support your decision to move to El Salvador? Yes, there was no push-back from either family. My parents said, “Look, it’s a once–in- a-lifetime opportunity.” Basically they both told us even if we were horrible at what we did, we had to go for the experience of it. It WAS hard at first, VERY hard, especially for the first three months which were extremely brutal for all those reasons. Not having the language, my wife couldn’t even go to the store for groceries and depended on me for everything. I went back and forth from long work hours to the store and back, which was tough. My wife knew no one and was socially isolated, homesick, and lonely. In the next three months she became acquainted with people, and we got a maid so that my wife could focus on the kids and herself. I enrolled her in Spanish classes. She learned to drive. By the eight to ten month point she said she could see herself living here two or three more years; now runs the errands and speaks the language with 60-70% fluency. Our older boy is speaking Spanish phrases and doing conjugations. The younger one is understanding it more than speaking it. The kids have friends. We have set a family goal of staying for a minimum of three years. I commit thirteen hours a week to my wife, and she chooses how we will use that time. I see expansion opportunities with my company here within El Salvador. Are you involved in the Mormon Church here in El Salvador? Most definitely. You type in your address on the computer, and it gives you the location of the nearest faith community and worship service times. All positions within the Mormon faith are volunteer. I serve as assistant pastor and institute teacher for our young single adults. Does your faith intersect with your work life? How does justice and righteousness come into this? The world is not fair. This country probably isn’t going to get much better, but I believe that God creates things so we can learn from them. We have to make our own decisions. Yes, you may be repressed, but you don’t have to repress your neighbor. God let good people like Monsignor Romero die. God told us to love our neighbors, and that’ s what Monsignor Romero did. How do you and your company get involved in serving the needs of the community? My company was selective in what agency to involve ourselves. We decided to support Amor & Esperaza (Love and Hope), which is an orphanage outside San Salvador started by a young woman named Rachel Sanson from Cleveland, Ohio. It cares for orphaned, abused, abandoned, and neglected children. Our company donates on a monthly basis to cover things like their utilities. We also have employees who do payroll deductions. My wife volunteers to teach there weekly to free up the staff to attend in-services. We take our own staff there to attend management training and do 5-K runs to support them. What do you see in the future for your family? Meeting other people and cultures remains a family priority. Where that takes us as a family is uncertain. It could be Nicaragua or the Philippines. I don’t rule any country out at this time. You hadn’t told your wife many detailed stories about your two years in mission work before arriving. Have you since you arrived here? I was working such long hours, and the stories made little sense out of context. However, I have taken her to some of those places I lived when I served as a missionary. Experiencing them firsthand and meeting some of the people or their family members of them is more meaningful and perhaps makes more sense to her in why I wanted to return. It has been such a heart-warming experience for me to return to some of these places. In visiting the one where I played the guitar at the funeral, I asked the daughter-in-law if she remembered me. “How could I ever forget you?” was her reply. People of faith reaching out to help children across the world. 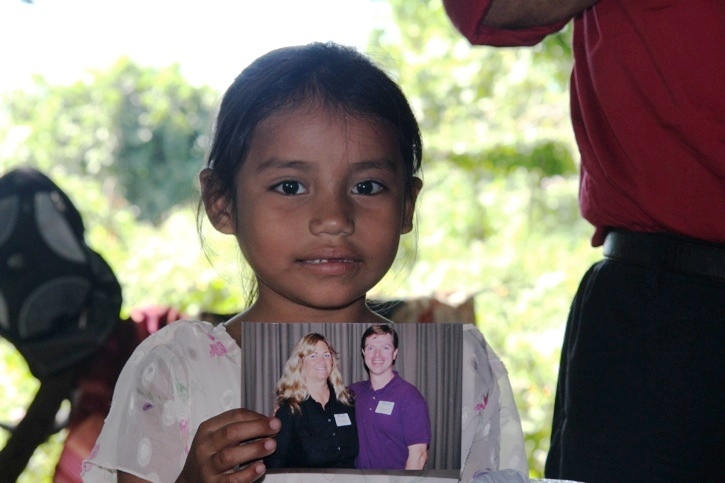 Pictured are Patty & Ryan Haggerty giving aid to Priscila in nearby Puente Azul. BenJoe’s second trip to El Salvador a dozen years after his mission trip seems to be fulfilling in a different way. This time he is extending an opportunity to his entire family to become immersed in a new culture and broaden their views. He admits to some initial tenuous moments while they made the transition, but is proud of their willingness to accept and adapt to their new country. Editor’s Note: BenJoe doubled the size of the family in 2013 when his wife, Delena, gave birth to twins – a boy and a girl. Another huge event affecting his call center was a devastating fire that looked like Armageddon when we drove past in January of 2015 shortly after it happened. BenJoe assured me all his workers were safe and he was able to retrieve some equipment. He is now operating in another location but hopes to be back in the original spot soon where he employs 800 workers. BenJoe serves as regional site director.